Last Timeline Revising post! Here we go! Like I said in the last post, the Avians are coming back so that their race will have more places to interact with the world than as slaves or a mysterious culture physically constrained to one location. Strife continues in Hykma in various ways. Fortunately, that strife can be used for a bunch of adventure hooks! I keep mentioning adventure hooks because that was the whole point of creating Gurutama with the Dawn of Worlds game. This post also sees the weakening of the Merfolk trade empire a little bit. They’ve started having to negotiate with Hykma instead of dictating as they did during the Great Blockade. One of my favorite points is the return of Engrenildo! We decided about halfway through our Dawn of Worlds game that the world was flat, not round. How did Engrenildo circle the globe if the globe isn’t round? A question for someone to answer when it really matters! Also, an opportunity for a particular GM to make up geography in a different place that the Engrenildo family discovered on their voyage. And war consuming the world everywhere if GMs want to use that as a background for a plot. All great stuff! 1. Going through the timeline as a whole in a printed off version. I find this works better for catching small errors that I might’ve missed. Any edits I make at that point will be included in the Revised Timeline page, but not as individual blog posts. 2. Race descriptions. I’ve got that little tree of races set up on the menu bar of the website, but there’s no info there! I want to get some pictures in there and short descriptions of what the races are like and basic history. I’d also like to put in some stuff about statistics for the races in different gaming systems. I currently plan to include stats for D&D 3.5, D&D 4E, Hackmaster, and possibly Dungeon World (I don’t know much about the last one but someone in my gaming group does). 3. Religion descriptions. A few of the religions were introduced in the timeline updates, but we don’t know much about them. We never want to fully flesh out every single religion to maintain creative freedom for GMs and players, but a little more stuff would be nice. I’ll probably work on this in tandem with the race descriptions, jumping back and forth as feels appropriate. For example, I’ll describe the races of Hearthland and describe their religions in the same spat of updates I write on Gurutama. That’s all for now! Enjoy the update and look to see more Gurutama stuff in the future. 751 NA: Hykma and the Hearth, both wounded by the civil war and the battles afterwards, began to rebuild. This process incorporated much of the artistic movement the Rana initiated, and so the cities reveled in the new beauty. After negotiating the terms for passage through the Great Canal with new reps from the Revered Administration, the Merfolk organized more and more armies in Proaxium, Drolfo’s Cove, and Cyflenwi. The new recruits were sent to retake Tortuga along with a massive fleet. The Avians were cast out, but separate roosts had already been established on the northern side of the ocean, creeping ever north towards the high cliffs of the Mandibles. The city of Balkus, already a fine port city, continued to grow in size and wealth. While the Merfolk occupied themselves with the Avians, a new settlement, named Mershe, appeared on Crautor Island. A new Bwarlor nation came onto the global scene. 752 NA: The True Arrows infiltrated Rotandean. They found allies there among all those who resisted the Brotherhood of Living Immolation. The common man may not have known of the Brotherhood, but the Arrows knew. Frugal Profiteers who went into hiding after the end of the civil war also joined up with the True Arrows. Sabotage and trickery were rampant in the city. Rumors of rebellion spread. 753 NA: Engrenildo’s grandson, Engrenildo the Third, finally docked on the western side of Hearthland with grand stories of land beyond the four known continents. He established a colony at the edge of the river named Victoria, after his mother. 754 NA: The Metal Dwarves formed up more armies and then went marching out against the Grez. Machines were made to assist in crossing the ice and breaching the fortress of the wraiths. A few soldiers were lost in the trek to Reesrevoton to eliminate the Grez threat, but discipline kept the men in line. Upon arriving, the monstrous creations of the Grez shocked the Dwarven armies. They fought and fought, before realizing that their only chance laid in retreat. The Dwarves pulled out, but only a few survived to tell the tale of the ice golems of the Grez. 755 NA: King Tenzomak sat in the throne room of Syluk. His father’s armor stood in a trophy case against the wall. The King stared at the armor and felt it calling to him. He walked over to it in silence and slowly donned the armor. He felt vast strength flowing in his veins. He had to use the strength quick! Before it consumed him! He lashed out at the grand columns supporting the ceiling of the throne room. His kicks and punches, powered by the ruby plate, brought the walls down around him. Servants fled the royal castle and a few were crushed in the ruins. The King dug himself out of the collapsed keep with his bare hands. He addressed the gathered crowd around his former palace, “For too long we have sat in luxury, enjoying the splendors the world has given us! It has weakened our resolve! Made us like the little people who think of nothing but their pipe-weed and mushrooms! NO LONGER! We shall forge our bodies into a new army and reclaim the glory of the dwarves! NO MORE MERCY FOR THE EMPIRE!” A cry goes out among the Dwarves and Humans of the city. Immediately the city prepared for war. Old metal was melted down for new. Fine heirloom luxury goods were sold off to incoming merchants to finance the growing army. Thousands of men reported for the draft. Those that do not were found and punished. Bards were sent out to spread tall tales of Tenzomak’s Ten Hundred Thousand. 756 NA: The first graduates of the agoge assembled outside of Crodolan. They marched forward without fear, thousands dying to the ancient magical defenses around the city. The Hobgoblins had been told from a young age; a Hobgoblin never gives up, never surrenders, and never retreats. That is for the lesser races. Hobgoblins are strong, brave, and as hard as steel. They marched forward, unfazed as their brothers were blown to pieces by fire and lightning. The defenses around Crodolan were used up except for an odd one here and there. The humanoids and Giants reached the city walls. Grand General Krak-Sho-Khan ordered the rams brought out. The Elves tried to defend their city, but for every Goblin they shot, two more took its place. Giants and Trolls helped with the siege of the walls. The Elves ran out of arrows, and then they fell. Crodolan was taken. Krak-Sho-Khan named himself King of the Halusho Forest, with his generals as the official council. 757 NA: The Humans of New Prestounasi grew wary of the war between the Elves and the Hobgoblins spreading to their city. The ships were made ready to cast off if the Hobgoblins turned their way. The generals of the Bastion felt secure behind their walls, but awaited an order from Hykma to cross the Bridge and engage the filthy Bwarlor spawn. The Rana kept the influence of Navillus out of the Shanties with many spells, wards, baptisms, and exorcisms. This earned them many friends among the commoners, but few among the faithful in the Brotherhood. It was no longer a rare incident for a Gossamer Monk to be attacked on his way home from a house call. The Brotherhood’s spies are everywhere and their thugs are ready to pounce. The Grez learned of artificial intelligence for their golems. An unthinking automaton is a foe worthy of the greatest heroes, but a thinking one? Only the immortal gods could slay such a beast. The Grez rejuvenated their golem armies in Reesrevoton and sent the golems at the Bronze Port. The Dwarves and Profiteers evacuated the city, but many did not make it out in time. 758 NA: The Grez attacked Bronze Port last winter. It is spring and a new year dawns upon the world. What quests lie in wait for those who seek adventure? Only the gods know. Crux is on the east side of the Jenarild River nestled in the mountains. The surrounding land mass between the Jenarild and the Curving Stream has almost no living animals on it. Due to the lack of herbivores the plants have grown to great heights except around the city where the plant life is held back. This is due to the necromantic nature of Crux. Crux has a population of about 11,000 living people. The rest of the population is undead. The workforce for the city is Skeletons and Zombies for menial tasks and Ghouls and Wights for tasks that require intelligence. Almost all the people in the city have the ability to turn or rebuke undead from one class or another. This power is necessary to make an unliving servant do your bidding, unless it is intelligent and not already under orders from somebody else. A quirk of the city is that positive energy will allow control of undead in Crux instead of destroying them. This city is made possible by the silver tower at its center. Inside at the top of the tower is a three-headed Bodak, known as the Antenator. The Antenator imposes his will upon all undead in the city to serve living people if the living people can call upon the power of Hades. Intelligent undead are affected by this to, but can resist it if they have an extremely strong willpower. In some sense this is Hades’ city on the real world. All the intelligent undead must swear an oath to serve Hades or risk him collecting their souls for his kingdom. He hates losing any subjects unless they continue to serve him in the Material Plane. Any knowledge about rituals related to death can be easily found in the city, but not demon lore. The buildings in the city get progressively higher as they go away from the city wall until they reach the silver tower at the center of town. It is more than five hundred feet high and reinforced with adamantine and alchemical silver. Anyone may enter the tower in an attempt to reach the top where the Antenator resides. It is said that the Bodak will answer a single inquiry or attack anyone who reaches the top based on that person’s intentions. Most wish to ask it a question about a dark ritual that cannot be found in any book, but some go to try to kill it. The many challenges on the way up have stopped everybody so far. The Bank of Lamentation is found in Crux. It is a bank staffed entirely by Vampires. They protect the valuables put inside without question no matter what they are and collect their fees in blood or in a percentage of what is stored. The bank is guarded during the day by golems imported from Crafterton and is only open at night for withdrawals or deposits. The bank does not offer loans unless you are willing to put up souls for collateral. There is a potion shop in the city of Crux run by the venerable lich, Vectra. Not much is know about this old specimen, but she seems to know everything about anybody who walks into her shop. It is said that she does not belong to Hades, but to herself. She is missing her left hand and eye probably from before her, “death,” or she has used them as her phylacteries. Every potion imaginable is available in the shop including some rarities from the Factory of Ideals in Crafterton. An amazing destructive spell is also sold in Vectra’s shop. It is rumored that the spell ends all life within a three mile radius of its casting. She sells the scroll of this spell to countries, kings, and other powerful people, and is willing to do a demonstration casting on the land outside of Crux for any who seems capable of paying her. The countries that are known to possess this spell are Xoria, Persia, India, and Ethiopia. None of these countries plans on invading the others. 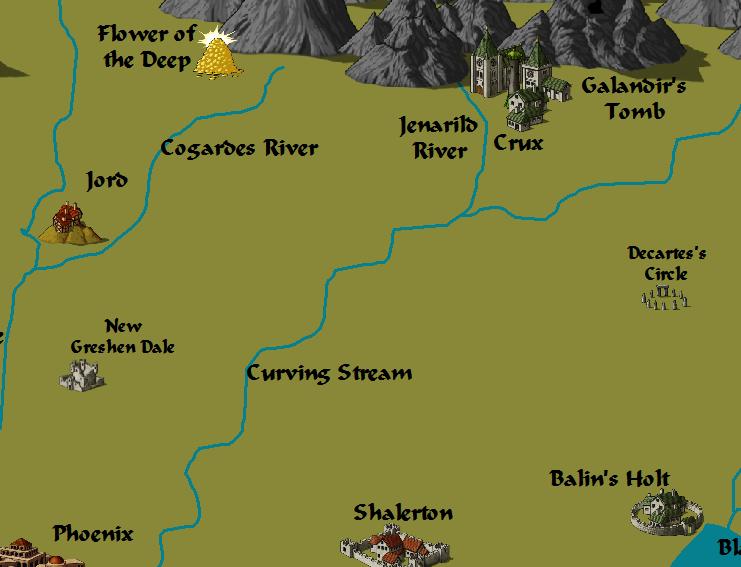 In recent history the city of Crux has begun to move southwest. Undead work tireless, day and night, to pick entire buildings up, move them a few hundred feet southwest, then go back to bring forward another building. Rumor says that Crux will enter the Second Alliance War, but it is not yet know which side they will fight on. I went home with my wife for Father’s Day and we did the usual thing where I went to my family’s house while she went to hers. My dad and step-mom kept with their usual Sunday routine of going to the local Farmer’s Market and making omelettes for brunch. I’m no omelette fan, but I had some scrambled eggs with them. After brunch we went on a hike up to the Dish in the Stanford hills. When we got back my dad made some pizza dough for later. My dad had already made some plans for the day to go to a Sufi meeting. My dad has been into eastern religions as long as I’ve been alive. I don’t remember when he started being a Sufi, but he has been for a while now. Sufism is sort of a mystical interpretation of Islam. It shares a lot in common with Buddhism so I’ve always described it as a mix of Buddhism and Islam in the past. What is the religion about? That’s a complicated question. It’s about meditating and praying to figure out what God wants you to do in your life. There’s also some stuff about dancing in circles, but my dad’s Sufi teacher doesn’t subscribe to that part of Sufism. The meeting was fun. We talked about particulars of the mystic traditions that are a little hard to describe in writing (sorry!). I’d go to it again if it was in Davis, but it isn’t. When we got back from the meeting my dad and I made some cheese. My dad loves making things of all sorts, so why not make some cheese to go on our pizza! If you haven’t made cheese before, it’s super simple. Cheese is made by adding some enzymes usually taken from animal stomachs to hot milk to curdle it (our enzymes were made by plants somehow). We took the curds out of the whey which when put together were about the size of my head. We squished the liquid out of the curds until they were about the size of two baseballs. And that’s pretty much it. We added some salt to the cheese and then slapped it on a pizza. We watched some old Wallace and Gromit cartoons after dinner. Presents fell somewhere in the day as well. I got my dad a graphic novel by one of his favorites authors (sadly he already had the one I got) and two Conan comics! We waved goodbye and I headed over to pick up my wife at her parents’ house before driving home in the dark. With the Hykman League now under the power of Navillus they’ve gotta start doing some evil stuff, like taking over other cities with bloody massacres for example! Rotandean is reintegrated into the League and Elves become second class citizens. The Hobgoblins are locked out as well. Amidst all this turmoil in the Eastern Maw, the Rana initiate a artistic revival. While playing Dawn of Worlds we imagined this to be kind of like the Renaissance. That should give us an excuse for pretty much any sort of art style existing in Gurutama if the DM wants to describe something in a particular way. It also gives the DM the excuse to have crazy Renaissance tech like pedal-powered hang gliders. This post also features the return of the Avians. Prior to this point we’d imagined the Avians as something similar to a slave race. They’ve been a subject population to the Merfolk for centuries and the Merfolk had been exporting sentient beings from Rontu-Aru. Slavery is bad and all, but this is the way the world worked in the past and still somewhat today. I wanted the Avians to have a little bit of power in the last stages of Gurutama, so I initiated the uprising with my Dawn of Worlds points. Najar also cleanses the Grez ice, proving that such a thing is possible. Maybe that’s a campaign plot there! And we’re closing in on the final Gurutama Time Revising post. Next one should be the last! 743 NA: With battle hardened soldiers at Hykma and the Hearth, the new Hykman League exploded outward. Troops from the Hearth were sent northward to conquer Farpoint and integrate it into the empire. And with word of the Elven betrayal ruminating in Hykma, the city struck south at Rotandean. Despite being unaffiliated with the True Arrows, the Elven soldiers of Rotandean were mercilessly slaughtered by the followers of Navillus. Finally, rather than brave the Freedom Road and the fighting between the Hobgoblins and the Elves, the Hykman Empire sealed the Homestone Bridge. The Bastion was fortified to defend the bridge and more soldiers quartered there in preparation for future conflicts. 744 NA: The strife of the wars tested the mettle of the Rana. They overcame and learned from the challenge; their ways of peace and kindness grew. Strife, chaos, and unchecked emotion ravaged the lands of the Hykman League, and yet the Rana were able to channel the horrors. An artistic renaissance permeated from Pulchrito and Domicilius: painting, poetry, literature, sculpture, and theater. For the first time, creativity and expression began to overcome the blunt wealth and splendor that previously dominated the minds and hearts of the Hykman people. 745 NA: With the world at war, mercenaries were in high demand. On Balkus, Captain Lucrais DeBaal of the Zephyr formed a fleet of sails for hire. He was quickly contracted by the Bastion to defend their channel. A fleet was formed to defend the Canal from Elven small boats and to prevent passage across the Canal by any means other than the Homestone Bridge. 746 NA: Farpoint falls to the Hykman siege and becomes a subject province the the League. 748 NA: Shrieking noises could be heard day and night in the southern jungles. Old fears awoke in the hearts of the Merfolk. The Avian menace had returned at the same time that passage through the Great Canal was disrupted. Izquitl sent forth her feathered warriors. The city of Tortuga was taken and renamed. The place became Hobru-Peche to the Avians, or New Roost in the Human tongue. The Merfolk, not wanting to start a war with Hykma, begin fervent negotiations to move an army through the Great Canal. The Hykmans delay and block negotiations. 749 NA: A Merfolk fleet is sent to Rontu-Aru via the Groshan Sea. The fleet sustains heavy losses to Avian aerial raids on the way and is unable to retake Tortuga. 750 NA: The Avians, now firmly in control of Hubru-Peche, started flying across the ocean to harass the Elves of the southern forest as well as any ships that sailed in The Neck or the Groshan Sea. The volcano at the heart of the Red Peaks continued to pulsate and radiate heat. The ice, both in the mountains and in the city of Najar, melted. The heat remained. The sun always seemed to shine bright and strong on the city and the place was always warm. The days could be sweltering, but the nights were simply heavenly. Cool breezes gently flowed throughout the city and from his throne, the Mercenary King Jizero smiled. The ruins themselves seemed to melt away and be reshaped. Soon enough, one could hardly see signs of the terrible plight so many years ago. Najar, the Holy City, the City of Endless Summer, was reborn. There’s a Chinese proverb that I love, “The Empire, long divided, must unite: long united, must divide.” Unity comes and goes. Same thing happens to the Hykman League in this post. Previously they united four races, Human, Elf, Hobgoblin, and Rana. Now everything falls apart. The Hobgoblins go independent, the Elves factionalize, the Humans war upon each other. And… evil wins! Why does evil win? So that good adventurers have something to strive to defeat of course! It’s all about making interesting campaigns later on. Navillus spreads his influence out of the Upper Maw into the Eastern Maw. 737 NA: The Hobgoblins, enthusiastic at the new found technology of the Humans, built cities to gather their people in the forest. Cities were built at the head of each of the rivers in Halusho: Drukana, Nazarak, and Tentomrozan in order from west to east. A faction of Elves was outraged that the Hobgoblins were allowed by the Hykman League to settle in the Halusho and the Mandibles. The faction split from the League and went into the forest “back to its roots.” The faction named itself the True Arrows. The True Arrows formed an elite soldier corps to hunt Hobgoblins and any who associated with them. 738 NA: The return of Navillus and the actions of the True Arrows put too much stress upon the Hykman League. The Brotherhood of the Living Immolation revived and clashed with the Revered Administration in the streets of Hykma and the Hearth. The frustrated poor enacted their revenge fantasies on the rich. The streets were stained with blood and both cities descended into chaos. A bloody civil war wracked the Hykman League. The Hobgoblins broke off regular relations with the Hykman League having learned enough to maintain a civilization of their own. The Hobgoblins created schools with a sort of Hobgoblin agoge (Spartan training). The Hobgoblin militocracy conscripted armies in the three new cities. Tension mounted in the Elven forests. The armies at New Prestounasi redeployed and martial law was declared. The armies struggled to maintain peace, defend against Hobgoblin raids, and contend with the True Arrows. The armies were called to return to Hykma – by both sides. The generals refused to return, staying in the forest, fearful of aiding the wrong side. 739 NA: The Grez researched improved ice magic and architecture. They used their improved skill with cold magic to create ice golem creatures. The Grez formed armies out of these ice golems in Reesrevoton. The son of King Hrotomak, Tenzomak, conscripted a new army to defend his beautiful city of Syluk. 740 NA: The True Arrows kicked the Hobgoblins out of Shianosoth and reestablished the ancient Elven city. Many of the old buildings were left as ruins, reminders of what happens if Hobgoblins are allowed free reign. 741 NA: The Elves of Rotandean and Crodolan feared that the civil war might spill over into their territories. Rotandean created an army. Crodolan’s mages used their enchantment magic to charm the commanders of the Hykman army to stay in the forested city. True Arrow leaders convinced the people of Crodolan to mercilessly execute the Humans within the army. A new Elven army was formed at Crodolan to defend from reprisals. In Hearthland, the Metal Dwarves realized that their military was ill-suited for fighting the undead abominations of the Grez. A new military organization was created, vastly superior to that of any other nation. Promotions were now based on intellectual merits instead of connections or prowess in battle. 742 NA: The Hykman Civil War ended, leaving a wake of carnage and a strong military presence in both Hykma and the Hearth. The Brotherhood of Living Immolation took control of both cities, though the proxy of the Revered Administration still remained, now many of the Administrators were themselves members of the Brotherhood. The Revered Administration had too many things working against them, the infiltration of their order, the burning fanaticism of the Brotherhood of Living Immolation, and the greed of Revered Administrators. In honor of their victory, the Brotherhood of Living Immolation built a massive and wonderful temple to Navillus in the Elven Gardens of Hykma. While the true nature of the Brotherhood of Living Immolation was still concealed under infinite veils of secrecy, the temple was a rallying point for common men. Boom! Navillus is back! There’s also some more recent history with the Night of a Thousand Kings where Hrotomak is unseated, replaced by the mercenary, Jizero, and other stuff in the Upper Maw. Someone finally stands up to the Grez at Bronze Port. Not much for me to add on this one beyond that. In the future I’m hoping that Jizero and his descendants will do something cool in a campaign. Or really anything from the Night of a Thousand Kings. Pretty much anybody can claim the Najar throne now and I’d love to have an adventure centered around people scrabbling for little bits of power related to that. Oh, and of course the Blockade finally ends in this post. 730 NA: In the ruins of Prestounasi the Leaguers rebuilt. From the ruins of the old the city was reborn, New Prestounasi. As Prestounasi was rebuilt more Hykman workers completed construction on the Hobgoblin city of Vassal at the site of Nanatok as well. Meanwhile, more forces were conscripted in Hykma, fueling the growing militocracy. The Rana continued to expand the Shanties, having reached Domicilius, they continued to grow between there and The Hearth. 731 NA: In Balkus, the Bastards of the Tattered Book eyed Proaxium hungrily. They raised a fleet and sailed to the island, raiding the city. 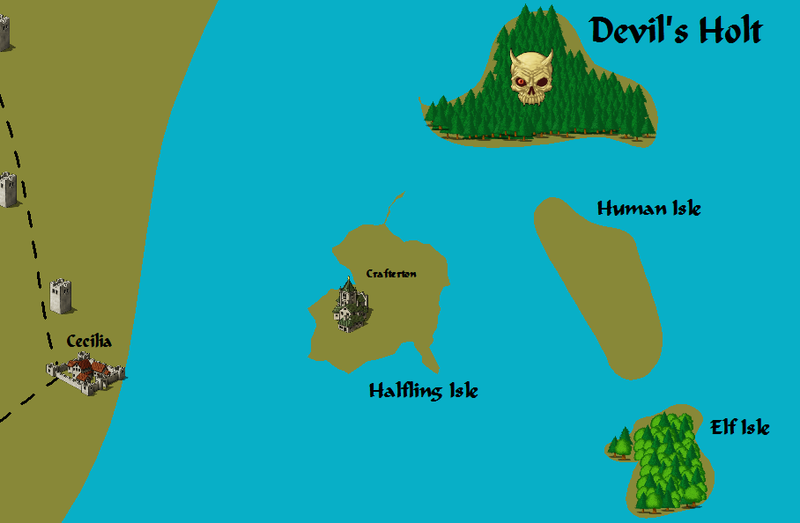 Knowing the cost of slaying the Humans on the island to be immense, the Bastards left them mostly alone (aside from plundering their belongings). But the Metal Dwarves… some were certainly killed, but the majority were sold into slavery and scattered about the world. The raid a success, the Bastards sailed away. The Merfolk horrified at what the Blockade caused, apologized profusely to the Dwarves. The Merfolk lifted the Blockade. They took over management and protection of Proaxium with Dwarven blessings and the great institution was restored to its former state. With the new knowledge available at their fingertips the Merfolk researched military submarines. Submarine fleets were constructed in Drolfo’s Cove and Cyflenwi with a regular fleet to match in New Tortuga. The Grez ice expanded onto the Hearthland continent. 733 NA: The Metal Dwarves called for help from their brothers on the Upper Maw, but the call went unanswered. King Hrotomak had other concerns on his mind. Najar was undefended and ripe for the taking. Seeking the Imperial throne King Hrotomak took his armies from Cynelle and Syluk and marched on Najar. As the core of defenders were at Bronze Port, Hrotomak captured the city easily. The men went through the city finding vast treasures that the Grez left untouched. They city was devoid of any living being. All the Humans, frozen so long ago, had either decayed or animated to join the invasion of Bronze Port. King Hrotomak came upon the old throne room. He sat upon the chair and found it to his liking. Behind the royal chair was a curtain that covered a thin volcanic shaft. The shaft went down, down, down, to the heart of the dead mountain. When Hrotomak thought he was alone in the room he heard soft whispers coming from behind him, welcoming him. 734 NA: Hrotomak’s victory was short lived. Reinforcements arrived from the cities of Cynelle, Alixria, and Alrdia, singing the praises of the King of the Red Peaks. These praises became damnations as the reinforcements turned upon the celebrating Dwarven armies. The ensuing battle was ruthless; the Najarns stormed the throne room and cut down King Hrotomak the Conqueror. His “unified” nation separated and devoured itself. The Night of a Thousand Kings descended on Najar, as lords and laymen, both Human and Dwarf, laid claim to the seat at Navillus’ feet and were in turn cut down by friend and foe alike. A terrible laughter seemed to echo through the city, up out of the deep crypts. The heart of the fiery mountain in Najar began to beat once more. Throughout the world the children of Old Najar, whose blood ran thick with ancient oaths sworn by their ancestors at the feet of the Black Prince, felt that ominous beating beneath their skin and in their very souls. The Dark Lord had returned. The Night of a Thousand Kings ended with Mercenary Captain Jierzo sitting upon the Red Throne. King Hrotomak’s son, Tenzomak, escaped to Syluk. The old city-states of Najar devolved to fighting amongst themselves as they did when Najar fell to the Hero and the Grez. Although the Metal Dwarves’ call for aid to the Empire Dwarves went unanswered, there was a different power that cared very much about the trade route that the Grez interrupted. The Frugal Profiteers sent out messengers and their mercenary armies assembled at Tylaniria. The isolationist Dwarves, when threatened, reacted quickly. A massive force was assembled in the depths of the Tiers and then poured out across the icy desert, to Bronze Port. The Profiteers, communicating with magic, moved at the same time across the ice between the cities. The Dwarves slammed their hammers upon their shields outside the cold gates of Bronze Port, proclaiming the land as still theirs. The Dwarves and mercenaries sustained many losses, but the Grez were defeated and forced to flee from the city, back to Reesrevoton. Crafterton is town with a population of about 60,000 people, most of whom are Halflings. The town’s economy is based around factories powered by the strong wind blowing to the west towards Cecilia. The factories were once powered by wood fires, but the island’s forest has been severely depleted. Cutting wood is now only allowed during winter and even then only by government permit. Some of the more entrepreneurial Halflings import wood from the lumber port of Makotako, but most are content to do without. The ban on woodcutting leads to many of Crafterton’s dishes being uncooked, heavily spiced, and/or soaked in acidic juices. All the newer buildings and furniture in the city are made from stone imported from Bradel Fields. Any of the city’s surplus tax revenue instead of being saved is spent on a restoration project. The City’s Commercial Council (CCC) once worked in line with the thief’s guild of Balin’s Holt to discover many new secrets that can help Crafterton’s factories and forests. This cooperation stopped after the Xorian occupation. Crafterton’s factories do not use an assembly line, but put a bunch of people in the same space using the same large power machine to make many products at the same time. The power comes from windmills on top of the factories and from imported fuel for the bigger factories that use fires. When no wind blows laborers are hired to turn a large crank that keeps the machine going. The factories produce everything. One of the more famous ones, Lindertur’s factory, makes houses and then exports them. The exportation of the larger commodities requires help from golems made in Havdrast’s factory. The fault in this whole system is that Crafterton has almost no natural resources beyond fish and good soil that is only being used for personal gardens. Everything has to be imported or magically created. Due to the large demand for transportation many magical schools have opened in Crafterton about those disciplines. Most wizards in the city are conjurers. Bags of Holding, Portable Holes, and Heward’s Handy Haversacks are all produced in Heward’s factory. The Wayfarer’s Union, providing teleportation services, is also located in Crafterton. Something even more preternatural than the rest of the city is the Factory of Ideals. It produces potions that twist people’s thoughts to a different prospective. The Factory of Ideals produces potions that make people fall in love, do evil things, do good things, and even release bodily waste in public. The factory is allowed to keep working for unknown reasons by the government. Most people assume bribery. The CCC is a guild comprised of all the factory owners in Crafterton. They decide the amount people are taxed and where that money goes. They are in effect an aristocracy without representation. They are all very rich and have no obligation to the poor of the city. Prior to the Xorian occupation the public accepted this arrangement. Whenever the public was upset they would strike and start building up farms to live off of. The strike negotiations started quickly and the problems are always quickly resolved. This feeling of goodwill has changed since the Xorian occupation. Crafterton was occupied by the Xorians in 437 BCE. A military governor, Commander Borgawitas, oversees the CCC now, preventing any possible seditious activity. Many of the factory owners have become Dragovinians and enjoy the benefits of integration into a larger empire. The common folk of Crafterton have easier access to goods with the removal of import tariffs, but their civil liberties have been seriously limited. Many of the Halflings have been forced to work on the restoration project without pay. The hurricane floods of 401 BCE destroyed many of the smaller buildings of Crafterton and without the wind break of large trees, almost all the efforts of the restoration project were undone in one night. The CCC was quick to rebuild the factories, but the rest of the city has been left to languish. Efforts to strike are no longer met with concessions and negotiations, but whips and executions. Dragovinian animals are everywhere, watching the captive populace to prevent insurrection.